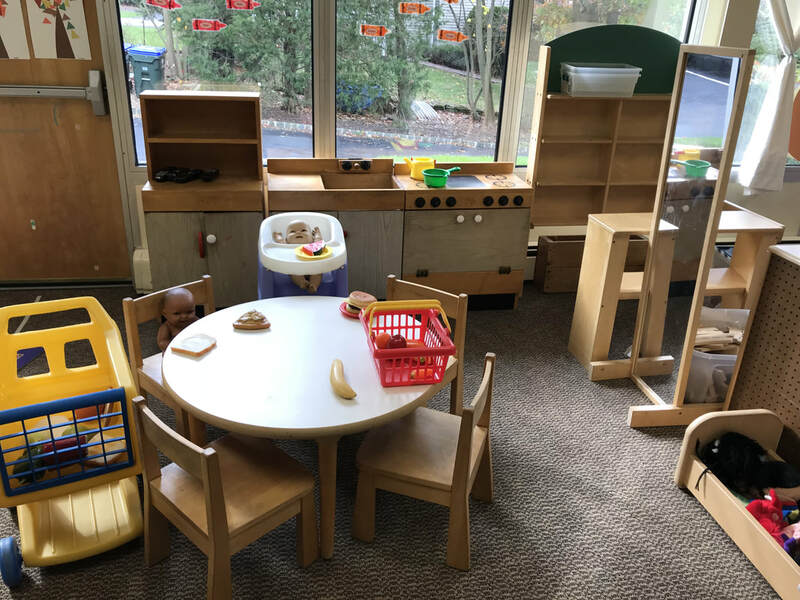 In the dramatic play center, the children can play in the kitchen, go grocery shopping, and play with dolls and puppets. There is also a big mirror they love to look at! Dramatic play helps promote sharing and creates different dramatic situations for the participants. The class really loves using their imagination!